Last Friday, May 18th, eight students and two teachers were shot and killed at Santa Fe High School in Santa Fe, TX. The shooter barged into an art room with a shotgun and a .38-caliber revolver, abruptly ending their lives. The world is mourning the loss of Jared Black, Shana Fisher, Christian Riley Garcia, Aaron Kyle McLeod, Angelique Ramirez, Christopher Jake Stone, Sabika Sheikh, Kim Vaughan, Glenda Ann Perkins and Cythnia Tisdale. These students’ lives were just beginning. Instead of applying to colleges or making plans for the summer, their families are preparing for funerals and memorials. Jared Black turned 17 just days before the shooting. His birthday party would have been that Saturday, the next day. Nick Black, Jared’s half brother, said, “my brother loved to play Minecraft on Xbox, play Pokemon Go on his cellphone, and loved art.” Jared’s parents also said he loved art, and it was his favorite subject. He was in the art room that Friday morning when his life was cut short. Shana Fisher also recently had a birthday; she just turned 16. One of Shana’s close friends, Kyle Harris, said that she loved art and music, and would show him photos of artwork she liked when they rode the bus to school together. Kyle also said, “she stood up to bullies for me when we were little… She’s always done what she felt was the right thing to do.” Teachers and family members concurred that Shana was a very sweet kid. Angelique Ramirez was another young soul lost. She was just 15 years old when she was shot. Her aunt, Sylvia Pritchett said, “with a broken heart and a soul that just can’t process all this right now, I have to announce my niece was one of the fatalities.” Angelique will be missed dearly by her friends and family. Christopher Jake Stone was the youngest of his family at 17 years old. But his father said he still kept a protective role over his sisters. One of Christopher’s teachers, Mr. Stone, said, “being a brother was his best job. He was always there if someone needed someone to listen or some cheering up.” Christopher was known for being very adventurous, he liked hiking, zip lining and more. He would have made a big difference in this world. 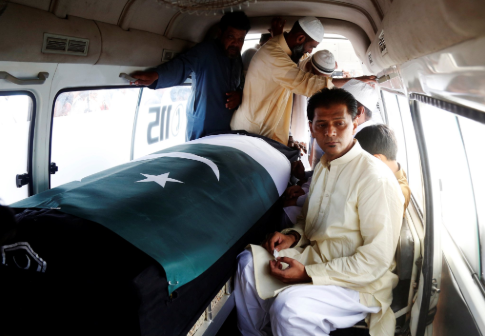 Photo found @ajplus Sabika’s family mourns her loss as they bury her in their hometown of Karachi. Kim Vaughan was the daughter of Rhonda Hart, who was teaching in the art room with her daughter Kim when she was shot. Kim’s mom tweeted out a message that said, “Folks — call your damn senators. Call your congressmen. We need GUN CONTROL. WE NEED TO PROTECT OUR KIDS.” Kim’s mom is truly heart broken. 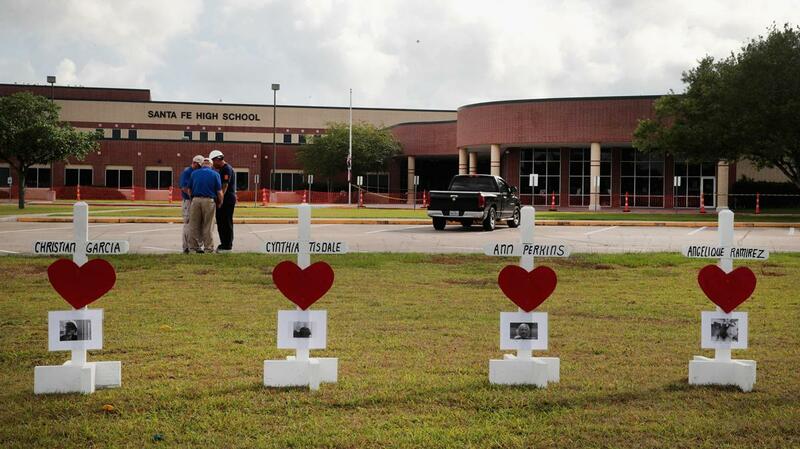 Glenda Ann Perkins was a substitute teacher at Santa Fe High School. Her family wants her to be remembered for her kind acts. Perkins’ daughter, Ashley Perkins, said, “I would like the world to remember her as a hero, of course, a hero that gave herself to get other people out and safe in time.” Kyle Harris, one of her students, said, “she really connected with the kids. She was an absolute angel.” Another student, Zachary Muehe said she was “everyone’s favorite substitute.” Glenda Ann Perkins was a very loved teacher and will be missed. Cythnia Tisdale was described as kind and generous by those who went to church with her at Anchor Bible Baptist Church in Pharr. Tisdale was working two jobs to pay for medical expenses for her sick husband. She worked as a substitute teacher during the day and as server at a local restaurant at night. Her husband’s family set up a GoFundMe, and by Monday morning, the campaign had already exceeded its $30,000 goal. Her death was a true tragedy, her husband will miss her awfully, with or without his lung transplant. To learn more about Tisdale’s story read here. With Santa Fe High School being the 22nd school shooting this year, according to CNN, a lot of talk about gun control and mental illnesses have been had. Something does need to be done to prevent this epidemic, it is important that we take the time to remember those whose lives were lost. We can only hope to see the end of this soon.